I first rode an Icelandic pony on a trip to Slovenia. It seemed like the right thing to do in actual Iceland. I’ve been on a couple of holiday pony treks and am under no illusion that I can actually ride a horse/pony and I have a fear of falling off. I’m very clearly a passenger in the relationship. However, I don’t want to miss out on an experience and the mild fear I have has never stopped me climbing up into the saddle. Luckily, Icelandic ponies are solid, fat, short and, at this time of year, a bit lazy. 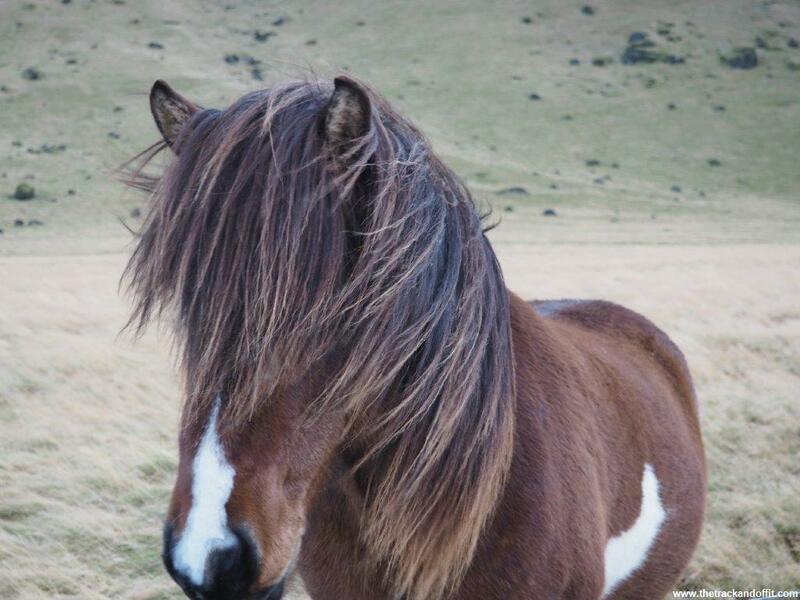 Icelandic ponies spend the cooler months standing around eating, growing their winter coats. 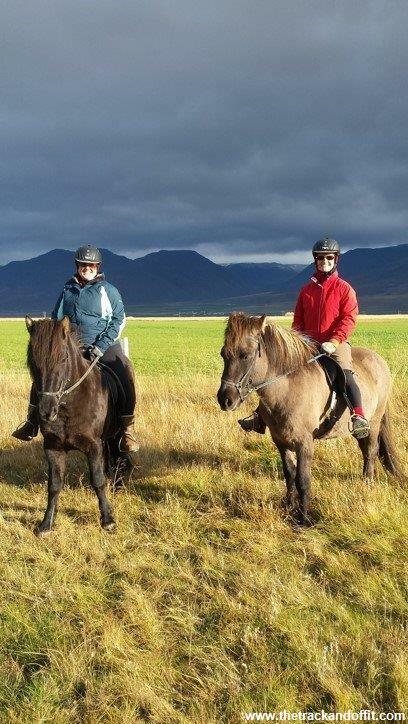 Luckily, Julie was in the same boat as to horse experience so our lovely guide from Hestasport had us walking along through fields and along tracks in this corner of Northern Iceland, Skagafjörður. Originally from Romania, our guide was a fountain of knowledge about all things Iceland and all things pony. It turns out that Iceland is NOT one of the best places to see the Northern Lights. Must be that big cloud that rests above the island. Good marketing though. FYI – you have a much better chance in Northern Canada and Norway and parts of Northern Russia. Icelandic ponies are unique in having an extra gait that other horses/ponies do not have – the tolt. It’s something a bit like a trot but smoother and less bouncy. After half an hour or so, our guide thought we were competent enough to give it a go. We did our best and managed a few steps of ‘tolt’ but mostly the ponies were too lazy and sleepy to give it a proper go. I was equally happy walking along the track that wound its way among small hills. The river crossing was particularly exciting too. 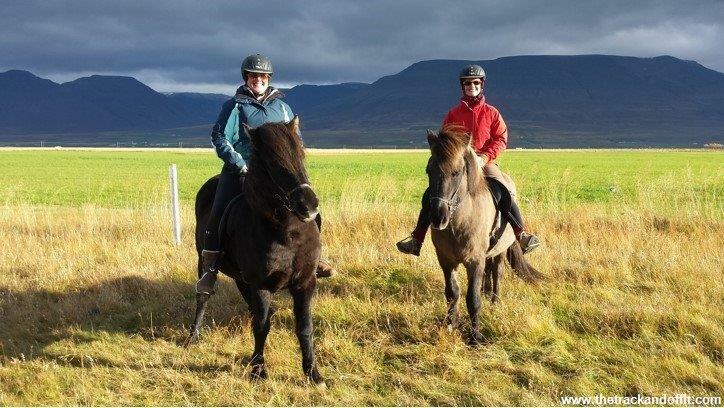 Iceland ponies are also not allowed back in the country if they go abroad. There are pretty strict rules on upholding the purity of the breed and keeping out disease. Riding these ponies was a highlight of our trip. 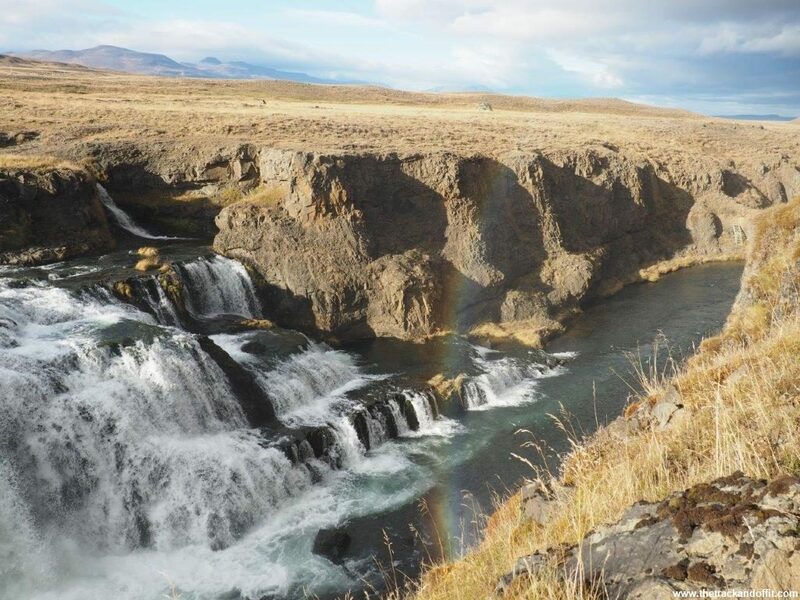 Of course, no stop in Iceland is complete without a waterfall. After stabling the ponies, our guide pointed out a farm track, promising waterfalls and a natural hot spring. We even got a rainbow. 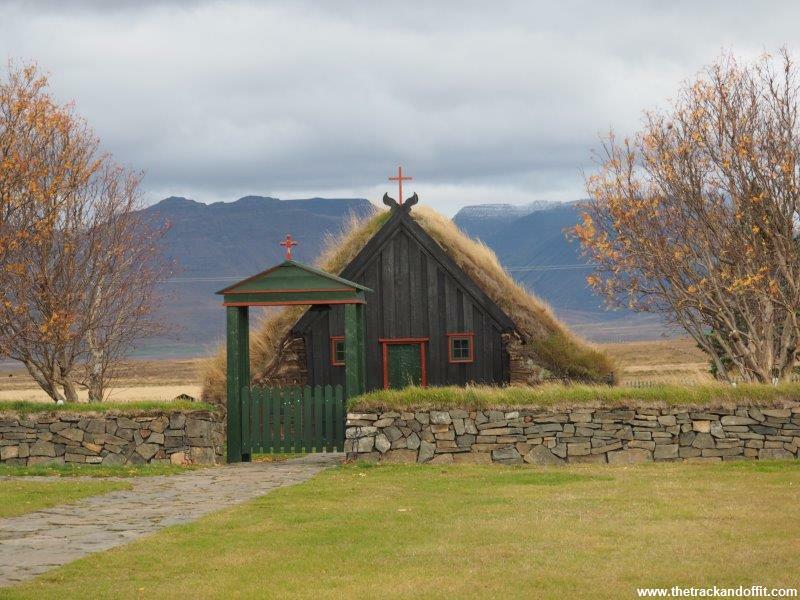 After our pony trek, walk amongst the waterfalls, and a warming cup of tea, the wealth of knowledge that was the pony farm led us to a traditional turf church. It looks like something out of a Viking picture book but the building is still in use. The German owner of the pony farm regularly attends. 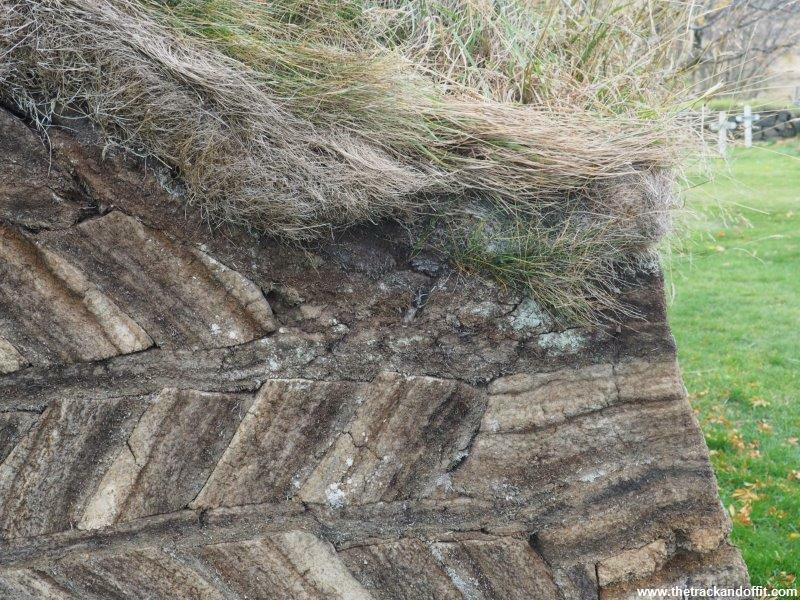 we loved checking out the turf bricks close up. 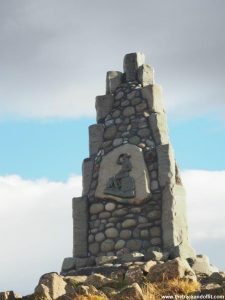 We were also reliably informed that the long road round the peninsula to Akureyi was definitely superior to the quick way along the Route 1. Time to get back on the track. 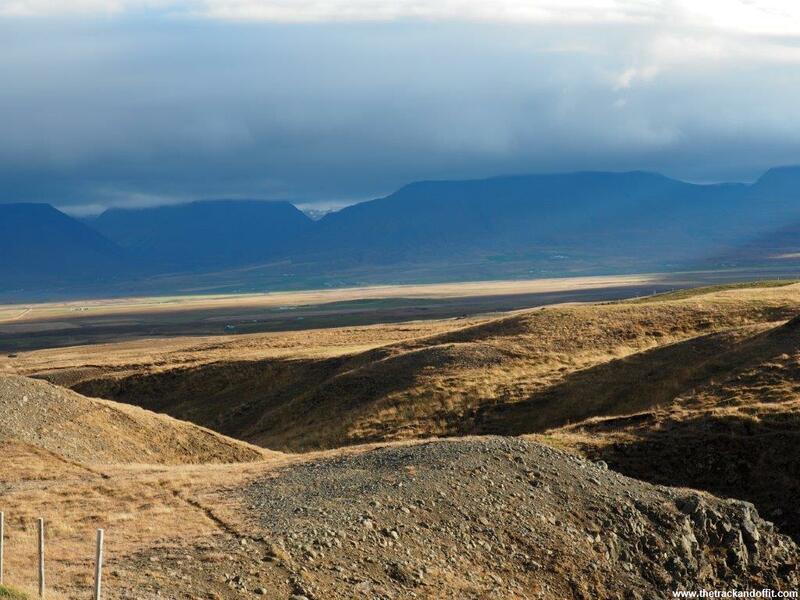 This entry was posted in My Travels and tagged Iceland by Simone. Bookmark the permalink.